We’ve seen a bunch of great Apple Watch docks in the past from Elago, and its latest transforms the display of your watch into a retro Game Boy. Normally, this retails for around $15, but right now you can pick one up for just $12.99 at Amazon, which is the best price we’ve seen on it so far. Only the light grey color is discounted this low right now, with the red, black, and jean indigo still sitting at $14.99. The stand is made of a durable, scratch-free silicone to ensure it doesn’t destroy your Apple Watch as you dock and undock it. It’s designed to work with all Apple Watch models, including the 38mm and 42mm options of each series. All you need to do is pop your existing Apple Watch charging puck inside the back of this, run the cable to the bottom, and then slide your watch inside. 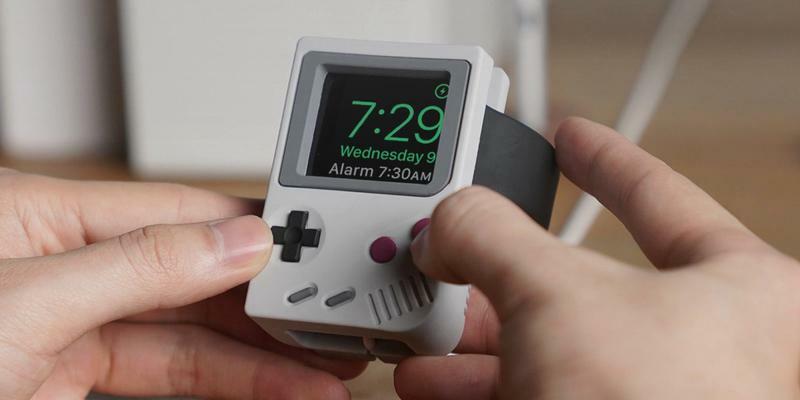 It’s worth noting that this doesn’t actually turn your Apple Watch into an old-school Game Boy, but it sure does make it look way cooler while charging. Looking for other options? You can grab the Vintage Mac model for $10 or the colored iMac from the late 90’s for $12 if you prefer.